Since the hiring of former Portland Winterhawks coach Mike Johnston, the Pittsburgh Penguins' captain Sidney Crosby started to experience what many deemed "slumps". The season-long "slump" of Sidney Crosby during his 2014-15 campaign led him to gain 84 points in the regular season, good for 3rd in the league, and he lead the league in points per game with 1.0909 points per game. This was deemed the "worst season of Sidney Crosby's career". During the next campaign (the current one), Sidney Crosby amassed a (by his standards) embarrassing 19 points through 28 games. For a man of Sidney Crosby's caliber - which can only be matched by himself in today's game - this was just unheard of! It could be blamed on a variety of things (whether they be justified or not). It could be the fact that Sidney Crosby was perhaps playing with an ailing injury; it could be that Sidney Crosby's wingers just weren't ever good enough as they were in previous times; it could be that Sidney Crosby was simply on the downward slope of his NHL career; it could be that he was being forced to play a defensive game, even though playing in an offense-first system would be to his obvious strengths; or, it could be that he was more often than not on the ice when former-Penguin defenseman Robert Scuderi was, to shelter how embarrassingly bad he was - therefore, was never able to get the puck from the man who doesn't know how to do anything other than throw the puck up the boards from his own end - therefore, didn't get many scoring opportunities from breakouts. Or, it could've been a variety of those things. Or none of those things! All people knew was Sidney Crosby wasn't racking up the points like he used to. 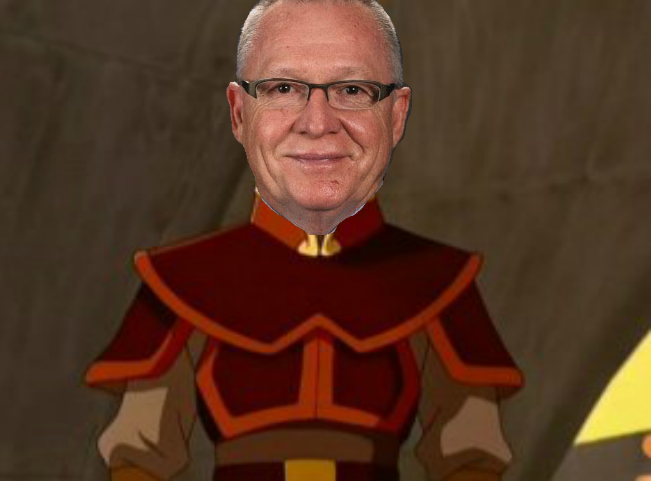 But then...everything changed when the fire nation attacked. Jim Rutherford too. (Maybe both? The safe option is just our buddy Jimbo, but don't count out Prince Zuko.) As he fired - pun intended in every single way possible - Mike Johnston (along with Gary Agnew) and hired Wilkes-Barre/Scranton's own Mike Sullivan (and let Jacques Martin take over Gary Agnew's position). So far, Mike Sullivan has coached 9 games with the Pens. Over those 9 games, Crosby has accumulated 5 goals and 5 assists, good for 10 points in that span. (Fun fact: Sidney Crosby's 5 goals came in a 5 game span, the first time he's done that since October of 2013!) Obviously, with a 1.11 points per game, we seem to have the Crosby we all know and love back in the lineup. This may be because of Trevor Daley replacing Rob Scuderi in the lineup; Mike Sullivan's new system coming into play (this will be further explained in a sec), and...well, nah, it's the change of system more than anything else. Let's give Sullivan credit where credit is due. In all but 1 of the 9 games Sullivan has coached, the Penguins have outshot their opponent; the Penguins have scored 5 goals on three separate occasions under Sullivan, only once had they done that this season under Mike Johnston; and...well, Sullivan lets the stars, be stars: "In my experience of being around elite players in the game, they see the game differently than everybody," Sullivan said. "That's what makes them as good as they are. I don't ever want to get in the way of that as a coach. I think it's important that we give them the latitude to act on their instincts. That's when they're at their best." But without Johnston forcing his players to play defensively this year - which effectively crippled the entire roster's production numbers compared to last year (save Rob Scuderi), the Penguins can play as they please in an offensive-minded manner. 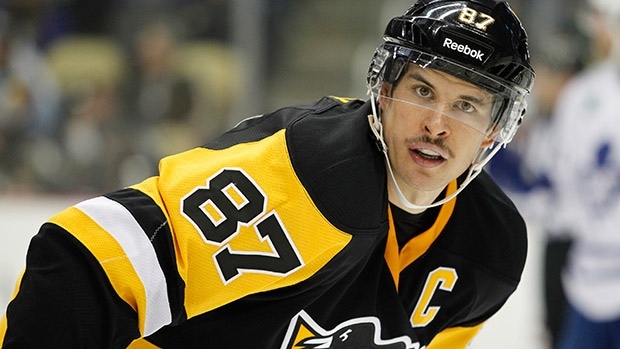 Now, this brings us back to the question: Is Sidney Crosby "hot", or just back on track? If you look back up at Crosby's shooting percentage, it's currently 14.7% as he has 5 goals on 34 shots under Mike Sullivan. Under Johnston (during the 2015-16 season), he had a minuscule 6 goals on a whopping 79 shots, good for a disgusting 7.6 shooting percentage. So, is Crosby "hot"? By his standards, no. But we DO have the Crosby we all know and love back, because he's not being forced to play a certain way that conflicts with what he does best: be Sidney Crosby. Now...imagine when he actually gets on a hot streak! * Fun fact: I wrote this 4 hours removed from getting all 4 of my wisdom teeth removed. So...if it's not that amazingly amazing, sorry! Haha.